Godwin Austen Johnson (GAJ) has completed their latest educational project – Sharjah English School. Located in University City, the school is strategically placed with easy access from Sharjah, Ajman, Mirdif and parts of Dubai. GAJ, in collaboration with Graphite and Pallavi Dean Interiors, were tasked with designing and managing the building of the additional facilities for the existing school. Pallavi Dean Interiors designed a neutral interior that allows student artwork to be displayed and celebrated without competing against the overall environment. 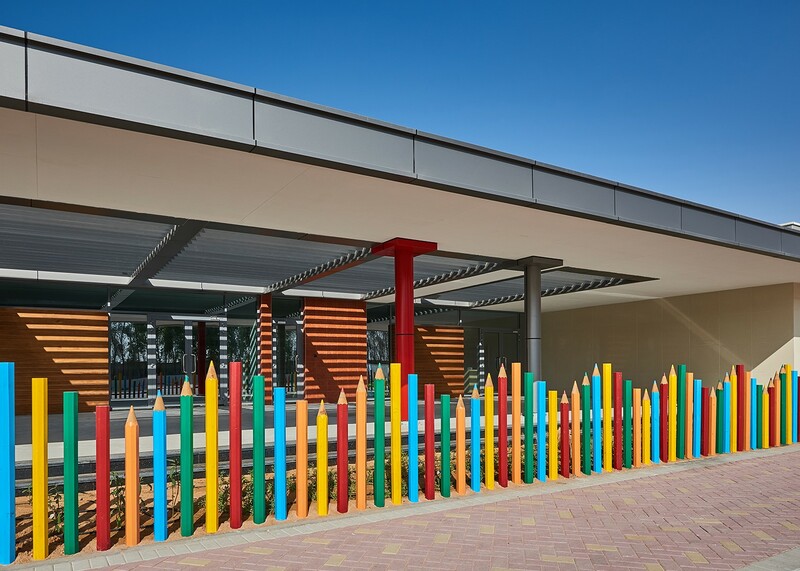 Colour is used only as accents to frame and identify the different classrooms and play zones. The central shared play corridor is a wide space lined with storage and activities that support curricular activity such as a hideaway role play house, a mini stage area and a computer touch down bay. The open play concept encourages children to explore and make their own space for play. The interior design was done in close coordination with Pallavi Dean Interiors while the landscaping was managed by Vero Studio and the services by GAJ MEP.